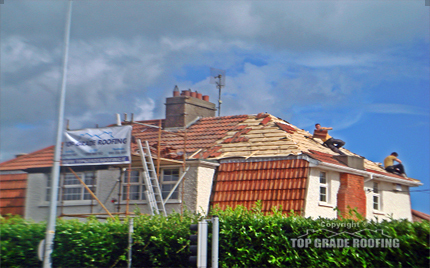 At Top Grade Roofing, we pride ourselves on having a free 24 hour emergency roof repair call out service with free written estimates and advice on insurance claims. We have rapid response times, usually within 1 hour, for clients in trouble with their roofs after a heavy storm, adverse weather, or just about anything else. In these situations, emergency roof repair is an absolute necessity and waiting until the next day simply isn’t an option. 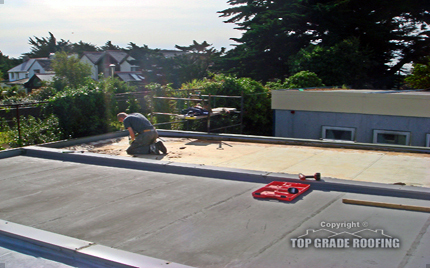 With Top Grade Roofing, we will be there when you need us. 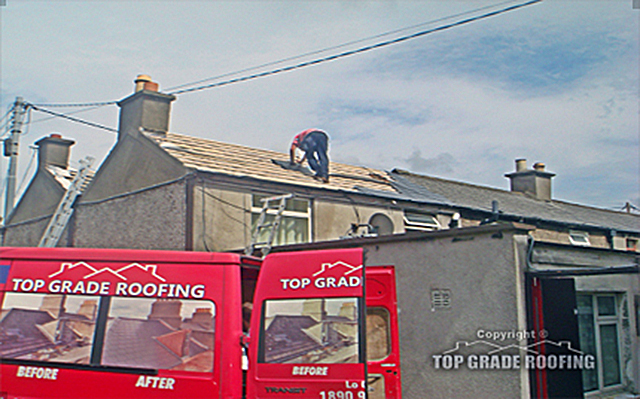 We can go wherever you are in the city as our roofing services are available in North and South Dublin. We can also facilitate Dublin 1 to Dublin 24 within a one hour window. These rapid response services are also available for industrial break-in roofing and commercial break-in roofing. Any emergency roof repairs need a rapid response time, and whether you are a new or existing client, you get the same level of respect and exemplary level of service. 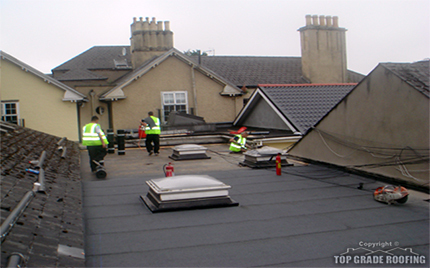 The first thing we do is provide dry cover to remove the immediate threat of further water ingress through the leak. 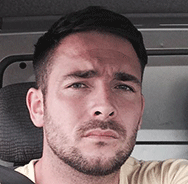 We also take on site photos of the damages and work with our clients and their insurance company to rectify the situation in better working conditions. Contact us on 085 779 5818 for emergency roof repair services 24 hour a day and our team will be there for you in your time of need.